Aside from the greatness that is Peter Gabriel's music; two names should be more than enough information for any fan of progressive rock to have a copy of this live concert in their possession: Manu Katche and Tony Levin. They make up one of, if not THE finest, tightest rhythm sections ever and their performances on this 100-minute recording are proof positive of that status. Taken from the 1993 tour supporting his classic "Us" album, this has to rank in the top five all-time best live shows ever released to the public. To call it a "must-have" is a gross understatement. The wall of sound that opens "Come Talk to Me" is magnificent and Manu & Tony step right up to get things off to an impressive start. This rocking plea for honest communication is the perfect song to let Katche loose for a few moments to wow the crowd with his exquisite drum fills. One of the great things that Peter does throughout the set is to start many of his tunes with captivating, extended intros that really set the audience up. The atmospheric lead-in to "Steam" is a perfect example. This number kicks tail as the realistic horn section sound from Jean Claude Naimro's keyboards and Tony Levin's deep, growling bass lines take the spotlight here. "Across the River" is an ethereal, in-no-hurry instrumental that shows you just one of the ways a Gabriel concert is not your average, run-of-the-mill affair. The lush keyboards create a beautiful "floating" sensation before the strong piano and David Rhodes' guitar usher in the rhythm section where Manu kills. It then evolves into "Slow Marimbas," a very short piece where violinist Shankar gets to step forward. If you don't have "Shaking the Tree" in your collection of Peter Gabriel's work then you are missing out on a superb song. Here singer Paula Cole struts her talented stuff on this celebration of womanhood and PG takes the opportunity to introduce his stellar backing group to his adoring crowd. Their echoing, enthusiastic shouts of "your day!" will send chills up your spine. A more relaxed rendition of the urgent "Red Rain" follows and it gives you a chance to turn your undivided attention to Peter's expressive vocal. Next is the wonderful "Blood of Eden" where Gabriel and Cole intertwine their voices in a fluid duet. The track benefits from their inspired detour away from the album version towards the end. The funky "Kiss that Frog" follows and it's just six minutes of undiluted fun. Katche and Levin's groove is irrepressible and Peter gets a chance to showcase his underrated harmonica skills. The somber, humbling "Washing of the Water" gets a more expansive treatment than it received in the studio and it is breathtaking. Gabriel's passionate vocal delivery goes straight to the heart of the matter and it's not to be missed. The mood ascends immediately with the opening strains of "Solsbury Hill" and this happy version further cements its status as one of the all- time greatest prog songs ever. It's hard to beat. Next up is the intense psychological introspection that is "Digging in the Dirt" and it works like a charm before the rapt audience. Rhodes provides a cool guitar effect along the way. No PG extravaganza would be complete without the infectious, dance-inducing spell of his immortal "Sledgehammer" and this up-tempo performance doesn't disappoint. The best cut, however, is the gorgeous, heart-wrenching "Secret World." I think this song might be my favorite PG composition of all time and I'm tempted to say that this rendition may even be better than the one on "Us." No matter, it is everything I love about Peter's art. It's relatable, engaging, and very emotional as the dynamic music takes the listener to another level of existence. The buoyant jam at the end is marvelous and you can tell the musicians are having the time of their lives. Paula Cole gets to shine brightly once again on "Don't Give Up" and it's amazing how they turn this sad song of desperation into a joyful expression of hope and faith at the end with the audience in full participation. The closer is the incomparable "In Your Eyes" and it more than rises to the occasion. All I have to tell you is that Manu's drumming is spectacular here. 'Nuff said. One of my many regrets in this life is that I've never experienced a Peter Gabriel concert in person. I hope to remedy that one day if I get the chance. It's high on my "to do" list. In the meantime, this extraordinary album (as well as his 1983 release "Plays Live") will have to suffice. On a technical level it's as good as it gets and you really get the feeling that you are in the auditorium with them. The visuals are just as important as the music and the quality video shot during this same tour is in the same major league division as this audio CD but that's for another review at another time. 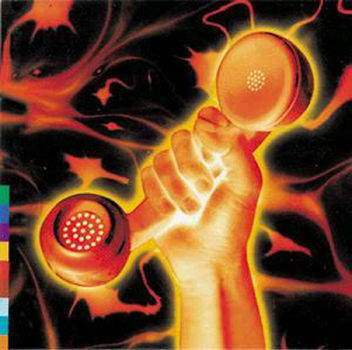 Whether or not you already have some Peter Gabriel in your rack, this is required listening for any progger worth his salt. 5 huge stars.